There is palpable discontent in regional, rural and remote areas of NSW as the ‘hideous dry’, as described to me by one farmer, continues its cruel encroachment on the land. The dire impact of the drought on water supply and the fractious and divisive debates around water quality continue to take their toll on the agriculture sector and rural communities. Even though only a quarter of NSW’s population live outside metropolitan areas, the water debate flowed through to the 23 March election. However, drought and water are not the only mounting challenges facing rural communities. The current conditions have only worsened the glaring problem of health inequality, and alcohol is a major contributing factor. Alcohol use is higher in the bush and people in regional, rural and remote areas drink alcohol at riskier levels than those in urban areas. In outer regional and remote areas of NSW 23 per cent of drinkers exceed lifetime alcohol risk guidelines, compared with 16 per cent in major cities. Higher consumption equals disproportionate alcohol-related harm in rural NSW. The rate of hospitalisations is 20 per cent higher in non-metropolitan NSW, the alcohol-related cancer death rate is 62 per cent higher and cardio-vascular disease is 52 per cent higher. Alcohol is pervasive in mental health issues and cases of suicide. Over a lifetime, almost half of all Australians will experience a mental illness; however, those living in rural and remote communities are less likely to seek mental health treatment than their city dwelling counterparts. The reduced access to mental health services is reflected in the high rate of suicide in rural and remote communities. In 2016, 47 per cent of all suicides occurred outside capital cities, even though these areas account for only 32 per cent of Australia’s total population. Alcohol is a factor in 85 per cent of motor vehicle fatalities in rural NSW compared to only 17 per cent in major cities. Alcohol is also a significant contributor to horrific instances of family and domestic violence and child neglect. Of the 28 intimate partner homicides in NSW in one year, 18 per cent were alcohol-related. Alcohol-related domestic assaults are up to 12.1 times higher in rural and remote regions than in NSW as a whole. The Auditor General says responding to these problems costs the NSW taxpayer more than a $1 billion a year. The high cost of alcohol harm to taxpayers should make alcohol a political priority. Looking at the results of the NSW election, the strong performance of the Shooters, Fishers and Farmers (SFF) party and the disappearance of National Party-held seats speaks to the level of discontent across rural NSW. 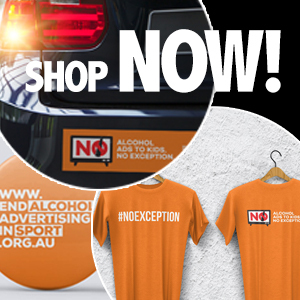 Unfortunately, there is no indication that the SFF, who picked up much of the protest vote against the Nationals, have their hands on the steering wheel of health – especially in relation to curbing alcohol harm. Unlike the major parties, the SFF did not feel obliged to engage with key groups prior to the NSW election. They ignored a formal request by the NSW/ACT Alcohol Policy Alliance (NAAPA) for SFF’s policy position on five issues relating to alcohol harm, including a call for an urgent inquiry into the disproportionate level of alcohol harm in regional and rural NSW. Supposedly representative of rural people, the SFF party outright ignored calls to provide their policies on this crucial bush issue. Alcohol harm is not something the SFF can ignore. Sadly, so far there has been no indication to FARE that the SFF will demonstrate the leadership that is so desperately needed to help its rural constituents. The accountability lacking in the SFF party is shared across the political spectrum. While NAAPA received a formal response from the major parties, their rhetoric on supporting alcohol harm measures did not translate to post-election commitments for action. NSW deserves better. More than 80 per cent of NSW adults believe they have the right to know about alcohol’s long-term harm and 77 per cent believe the government has a responsibility to educate them about those harms. It is time the parties took their jobs seriously and addressed the health inequities seen across regional NSW, starting with the disproportionate burden of alcohol harm. Well said Maddie. Now you’re talking.